So we're now in December which means it's time to share the products I was loving throughout the month of November! You might notice Bare Minerals pops up quite a bit in this favourites post and that's because I was lucky enough to be sent lots of their products to try and I've fallen in love with all of them. I could have included more but I've stuck to my absolute favourites or this post may as well be a 'Bare Minerals' favourites instead - maybe that's something I'll put together soon as it's a brand I highly recommend you try out. Here's a little bit more about each of the products I've been loving..
Schwartzkopf got2b Volumizing Hairspray; Whenever I do my hair, I don't feel like it's finished until I've given it a spritz of hairspray. My current favourite is definitely this one from Schwartzkopf - it's a really fine spray meaning it doesn't weigh the hair down and make it feel loaded with product and it also smells good which is quite a nice change for a hairspray. The only downside is that the bottle is HUGE meaning it's not ideal for travelling with. However, to use at home, I love it! Too Faced Born This Way Foundation; This has been my go-to foundation for the past month and I've done a full review on it here so I won't go into too much detail but it's a great foundation and one I highly recommend you to try out. 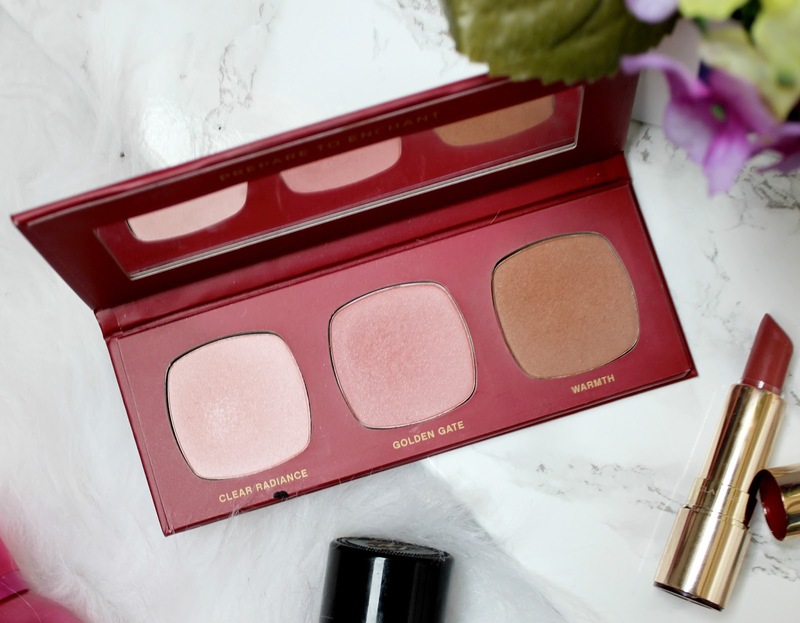 It has a medium coverage which is buildable, it gives the skin a lovely glow without looking greasy and it has a beautiful texture that feels light on my skin. Bare Minerals 'The Royal Court' Palette; Again, I've reviewed this palette in full here so I won't ramble on too much about it. If you're a palette lover like I am and like your products to be all in one place, this is the perfect product for you as this palette has a beautiful bronzer, blush and highlighter in lightweight packaging meaning it's perfect for travelling with. The shades are all gorgeous - they look really natural, give the skin a gorgeous glow and blend well too! Benefit Roller Lash Mascara; I recently got my hands on the full size of this mascara and I'm very happy about it as I tried the small version when it was first released and loved it. I much prefer this to the 'They're Real' mascara and I feel its less heavy but still does a great job at lengthening, thickening and curling the lashes. I really like the plastic brush too and I usually prefer brushes with bristles but because this one is so thin, it really does grab all of the lashes, even those little tiny ones I'd usually miss! Clarins Joli Rouge Soft Berry Lipstick; Clarins make the most beautiful lipstick and this one from their Joli Rouge collection has been my favourite everyday neutral shade of the past month. I love the packaging and the formula is really hydrating which is perfect for this time of year when my lips get all dry and cracked. I love this shade in particular because it's a 'my lips but better' shade which is perfect for a natural every day makeup look. However, because it's so glossy, paired with a lip liner, it's also fab paired with a smoky eye for an evening look too! Bare Minerals Stroke of Light Eye Brightener; This is definitely my absolute favourite beauty find of the past month - I absolutely love it! It's essentially a brightening highlighter to use under the eyes for that Kim K brightness we all know and love. It has a beautiful creamy formula and blends seamlessly into the skin. I simply pop it underneath my eyes in a V shape, blend and then set it with a powder. 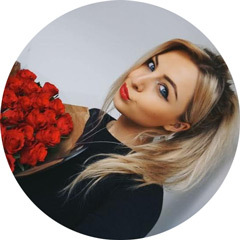 I also like to use it down the centre of my nose, in the middle of my forehead and on my cupids bow to highlight those areas. If you love products like MAC Prep & Prime, you'll love this!! Benefit Speed Brow; Since getting my eyebrows tattooed (post on that coming soon), the only thing I've been using on my brows is this Benefit brow gel to ensure my brow hairs stay in place all day. It's a really great products and keeps my brows in place all day. If you're someone with naturally full brows and they just need a bit of grooming to keep the hairs in one direction, you need to give this a try. It's also great if you fill your brows in and want to make sure they look perfect all day! Bare Minerals Supreme Finisher Brush; Yep, another Bare Minerals product - I told you there was a lot. This time it's the Supreme Finisher brush which I've been loving using with my MAC mineralize skin finish to set my foundation. I can't even begin to tell you how soft this brush is - it's crazily soft. It also blends powder really nicely and is essentially just a joy to use. I definitely need to look at getting my hands on more Bare Minerals brushes. 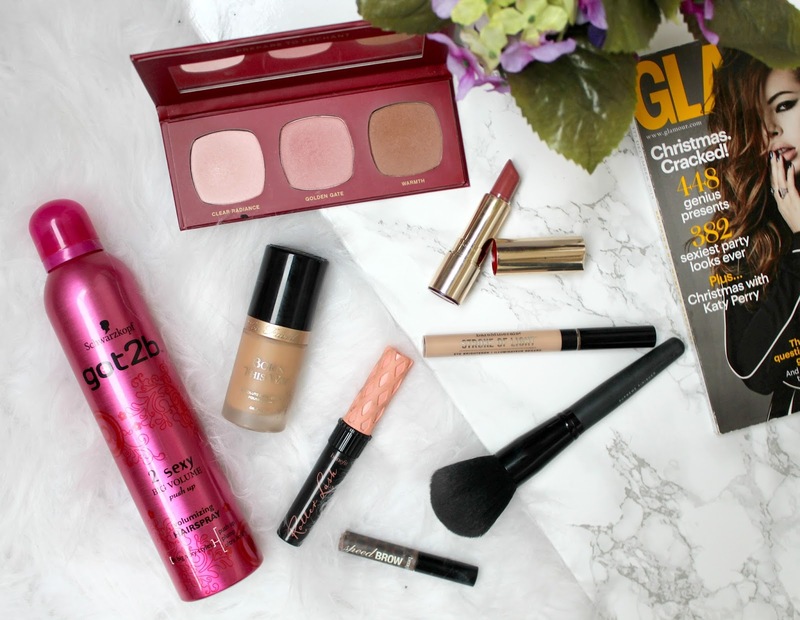 So there we have my current favourite beauty products! I much prefer Roller Lash to They're Real, it definitely does feel lighter. There's so many lovely products here! The bareMinerals palette looks gorgeous! Soft Berry is such a pretty colour, LOVE it! That bareminerals highlight palette looks amazing, I definitely need to pick this up this Christmas. 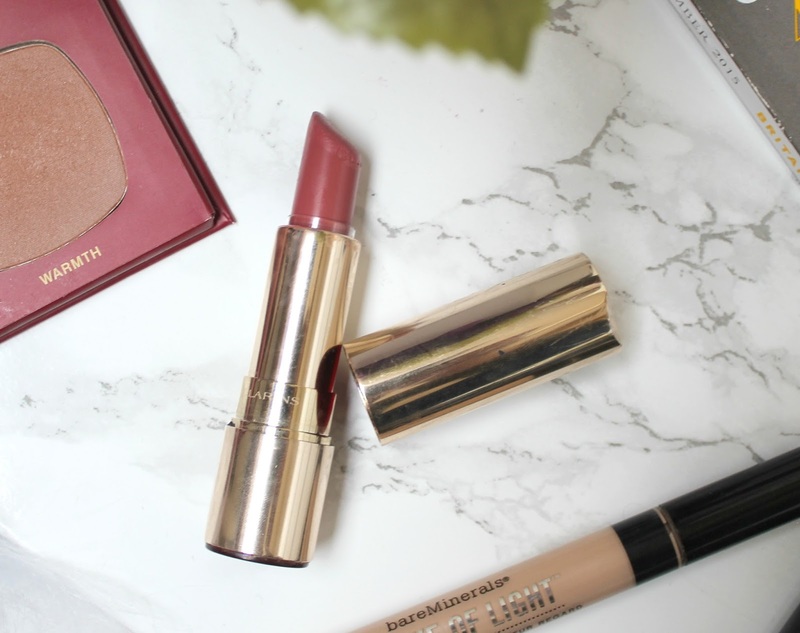 That Clarins lipstick shade looks like the perfect everyday shade!